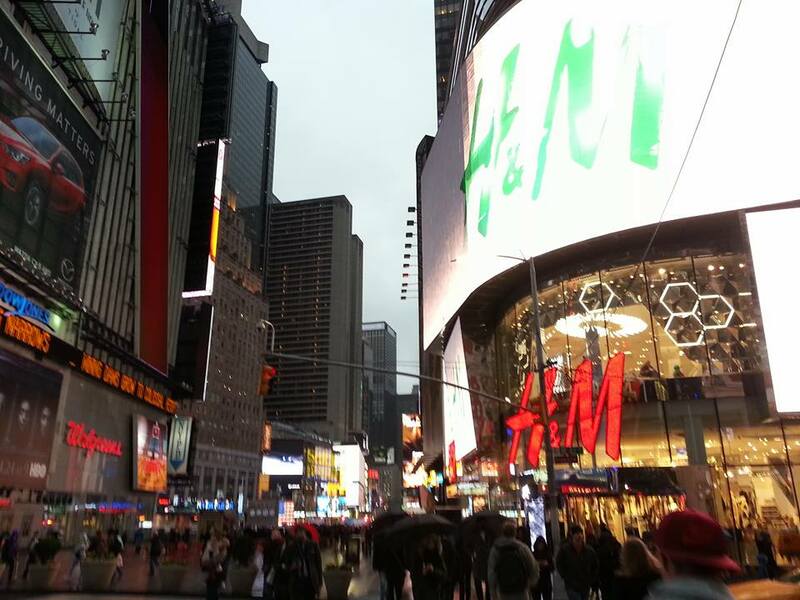 This year, for the first time WUFA embarked on a tour to the United States and Canada. The touring team was an invitational team comprising of past and present WUFA members and also included a selection of players from within the North Island. 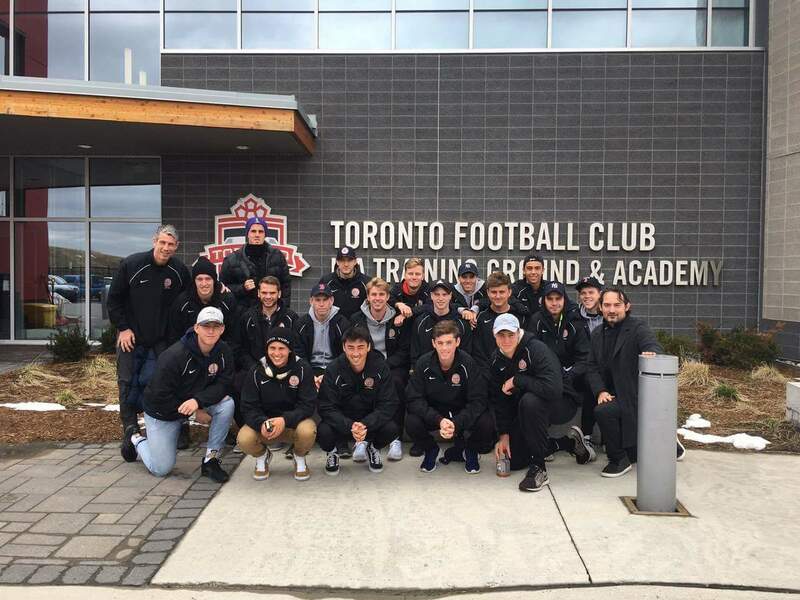 We toured for 14 days (April 1-14) and played 5 games in the state of Hawaii and New York and also visited pro MLS team Toronto FC (Canada) which was kindly organised by Duncan Oughton, former All White and assistant coach at TFC along-side Ryan Nelson. 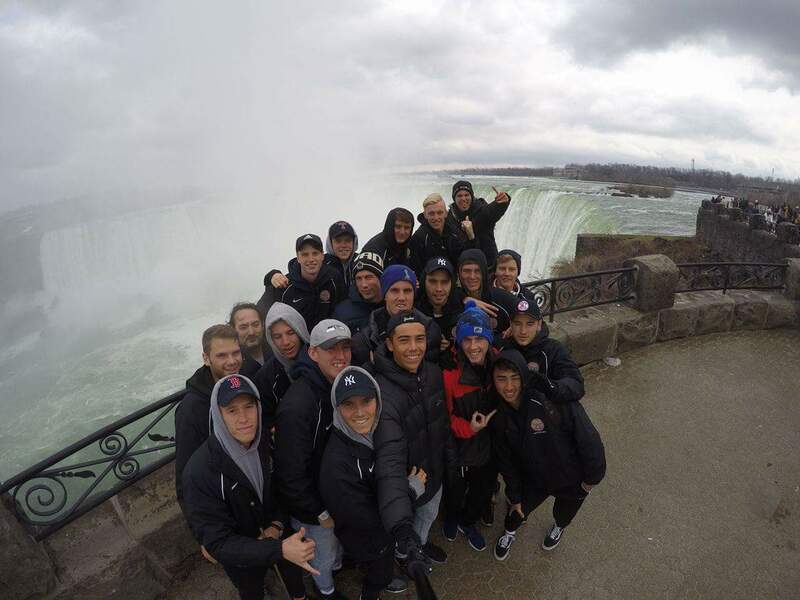 The Tour took in sightseeing activities which included New York City, Niagara Falls and the beaches of Hawaii. The primary objective was to get the touring players in the shop window with a view to obtaining scholarships at Universities in the United States, not to mention giving the players an international football experience similar to what any NZ representative would partake in. 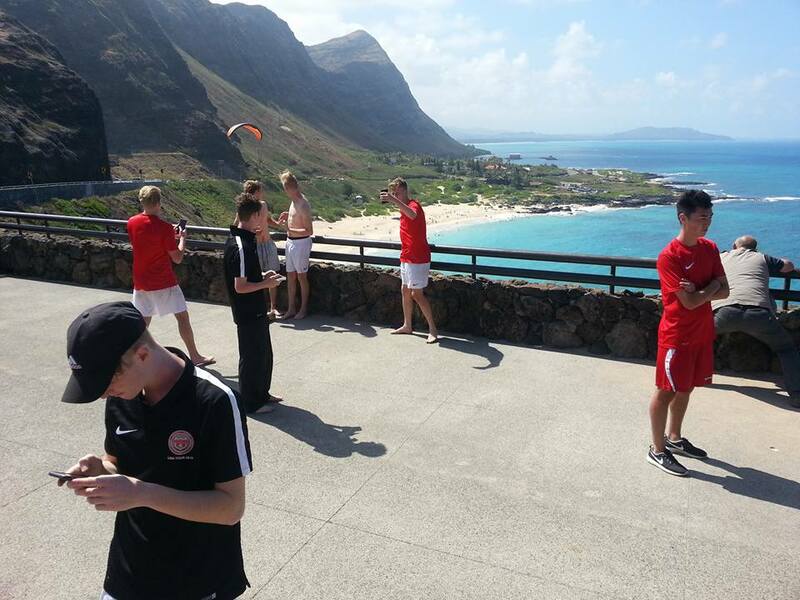 The players lived and breathed football for the entirety of the tour and had a taste of what it would be like to be an All White on an international tour. Setting off from Auckland Airport, the lads prepared with 3 training sessions, that included fitness testing and some prep work on what to expect while playing and travelling in the States, along with help to prepare CV’s for perspective Universities. 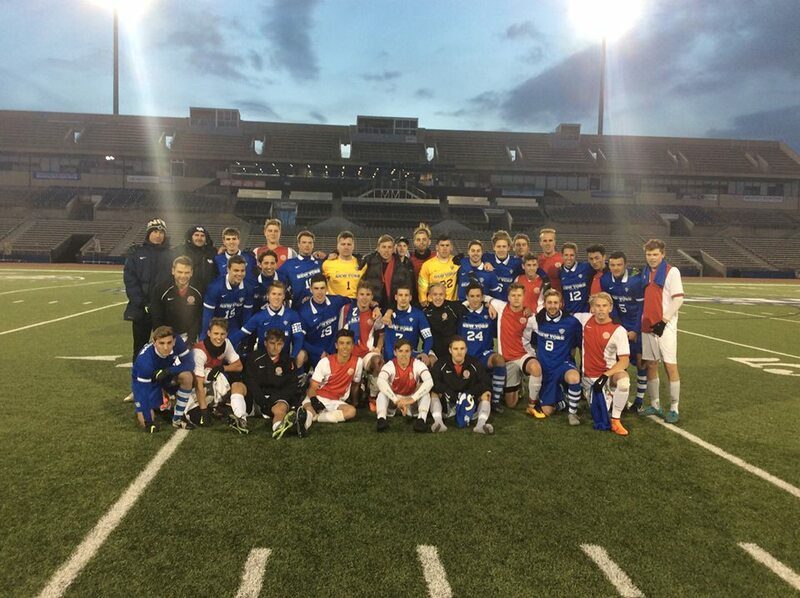 A final 3 day training camp in Hamilton with a friendly game against Northern premier league outfit Hamilton Wanderers gave us decent preparation for the impending games. The trip started with the fairly arduous journey with the friendly Qantas team to Honolulu via Sydney. 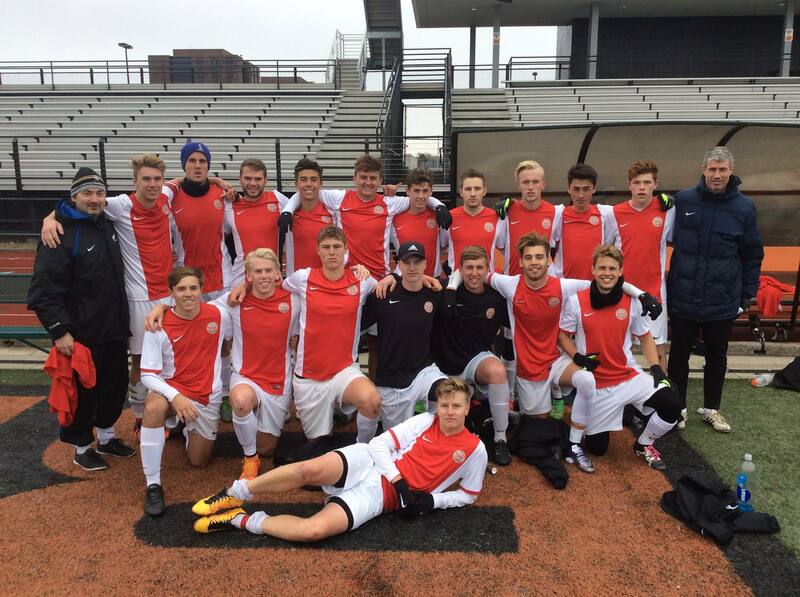 The boys looked sharp thanks to the Soccershop and Nike teamwear NZ. Game Time. 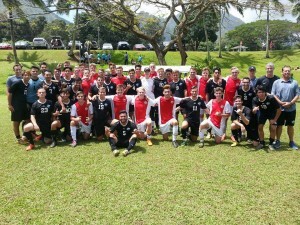 This was our 1st fixture of the tour against Hawaii Pacific University, a NCAA div 2 team littered with a lot of European talent, with some players having experience in top flight Spanish and French clubs. The match being played on a very picturesque pitch, nestled in-between mountainous terrain covered in lush tropical gardens. 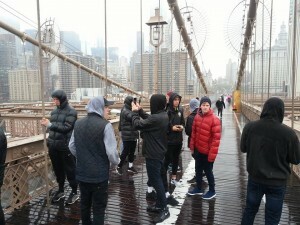 The boys had to adjust very quickly to the climate and also the pace and athleticism of the opposition. The team went down 4-2, with no shame in that score-line given the fact that HPU fielded a strong, and on balance, a much older and experienced side than us. Followed by a bit of R n R…. New York City bound- We leave Hawaii and set off to NYC for an overnight stay before we head to our base in Buffalo, New York State. After our long leg via LAX and onto JFK in New York, a quick drive across Manhattan to our Hotel in New Jersey, the boys had an authentic Italian meal at the famous Coachman Inn, New Jersey and then put their feet up for a couple hours before we went into the City of Dreams to see the sights of Times Square, ground zero and the Brooklyn bridge (amongst others). Buffalo City here we come, our new home for the next 8 days where we play the remainder 4 games of the tour. 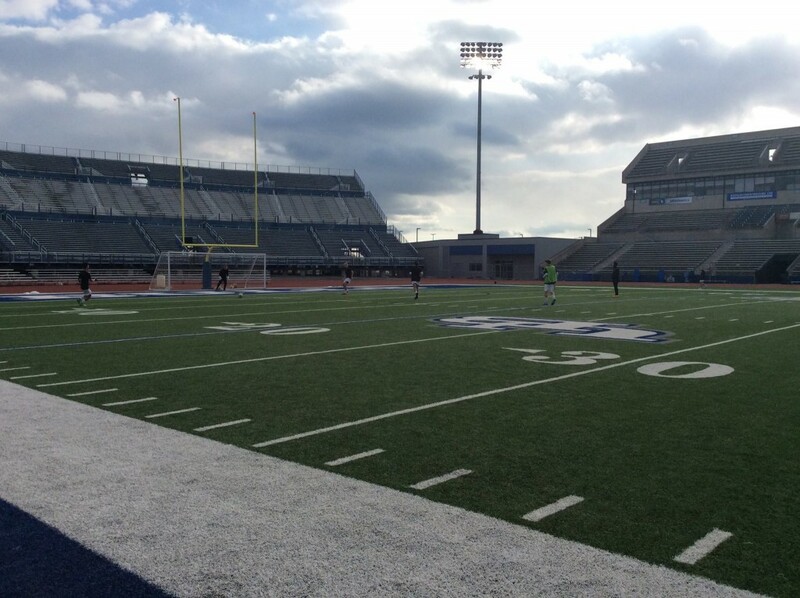 A 6 hour bus journey ending with a light session at Buffalo University Football stadium, a 32,000 seater stadium and the home of our next match. Not a bad venue for a training session. 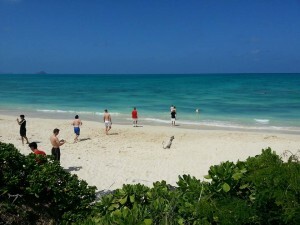 Slight change in weather from Hawaii, minus 7 and snow anticipated. We thought it was meant to be Spring! Game day number 2 against a Div 1 side Niagara University (USA side of the border). This was our first real look at a division 1 side and a chance to see how well the boys would acquit themselves against this level of team. Again, going down 4-2 the boys played very well. The score line didn’t really give a fair indication of our team’s performance on the day. Our boys probably created 8 chances and only scored 2 whereas Niagara created 4 and scored all 4. A disappointing result yes, but the performance was very pleasing and a number of our boys catching the eye of the visiting coaches present at the match. Game day against our toughest opponent and the highly anticipated match seeing as it was streamed live with commentary so friends and family could watch back home. Pre-match entertainment on the 32,000 stadium included fireworks (and a hint of unseasonal snow) music and national anthems of both NZ and USA. It was quite an occasion and an event put on. Unfortunately our boys were slow out the blocks on this occasion, conceding 2 goals in the first 6 minutes. To be fair to University of Buffalo, they were a very classy and well drilled team with real quality across the entire side. The boys were a little shell-shocked and went in at half-time down 4-0. However, true to kiwi form, they showed real grit and battled til the very last second, and although they were well out-played the scoreline of 6-0 slightly flattering to UoB. 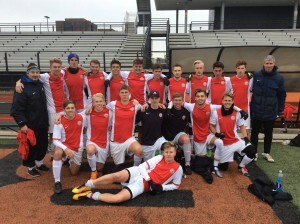 And to put this into perspective, UoB is likely to be a top 20 national side and their players have virtually trained like full-time professional for the past 3 years. Again, there were a couple of good performances that caught the eye of visiting coaches. Licking of wounds, recovery day and a bit of retail therapy for the lads. 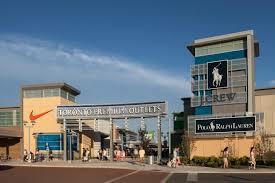 The boys went slightly nuts with the bargains to be had at the Outlet stores. 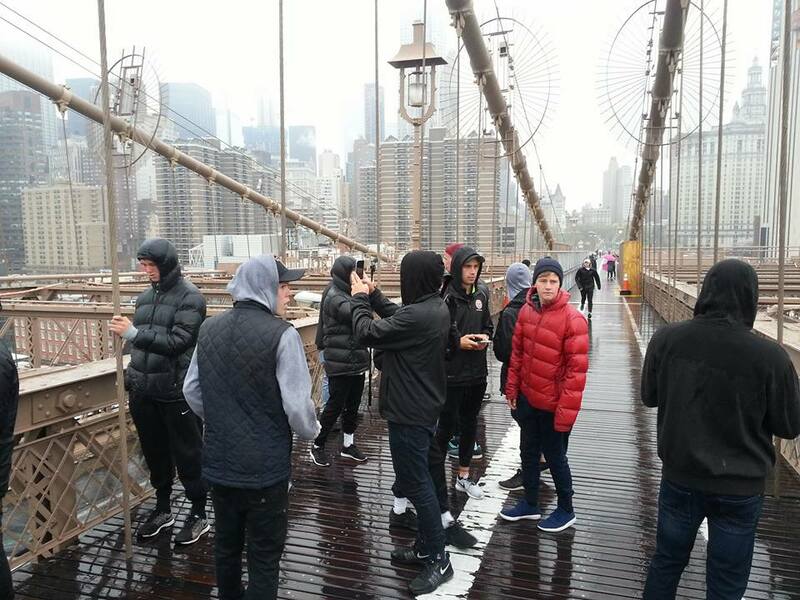 First real day where the lads could get there feet up enjoy the sights of Buffalo. The boys had to get back up for two games in one day, a tough ask for a side that had travelled thousands of miles across numerous time zones (welcome to the life of an international footballer). 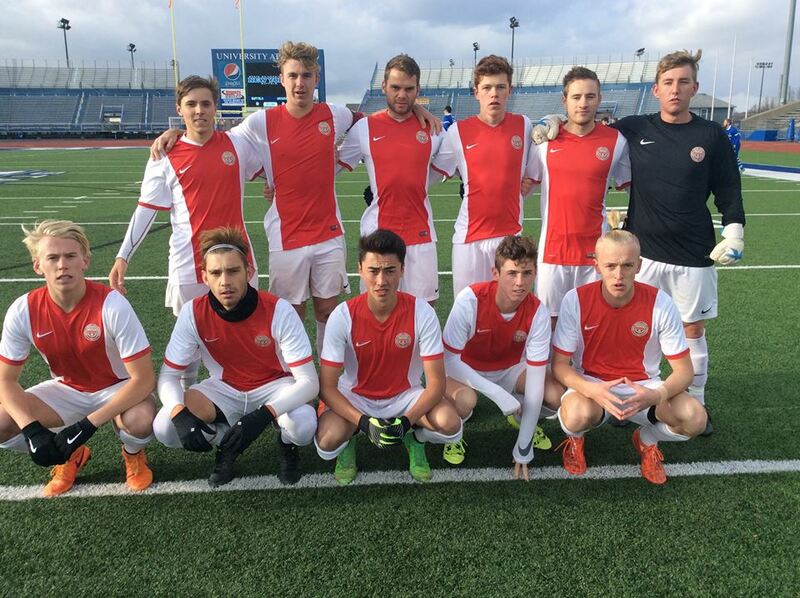 First match was against the host of the triangle tournament, Div 3 side Buffalo State University. Again, there were great facilities, albeit with Lacrose markings on the artificial pitch confusing some at times. The boys dissppointed in this game to concede what some may call a “dodgy” penalty early in the game to go down by the lone goal at the final whistle. Despite our best efforts and the several chances we created, we just couldn’t convert. Buff State were another good side and gave us a good run. Second match of the day, this was tough for the lads as we were down to the bare bones with injuries and fatigue setting in. 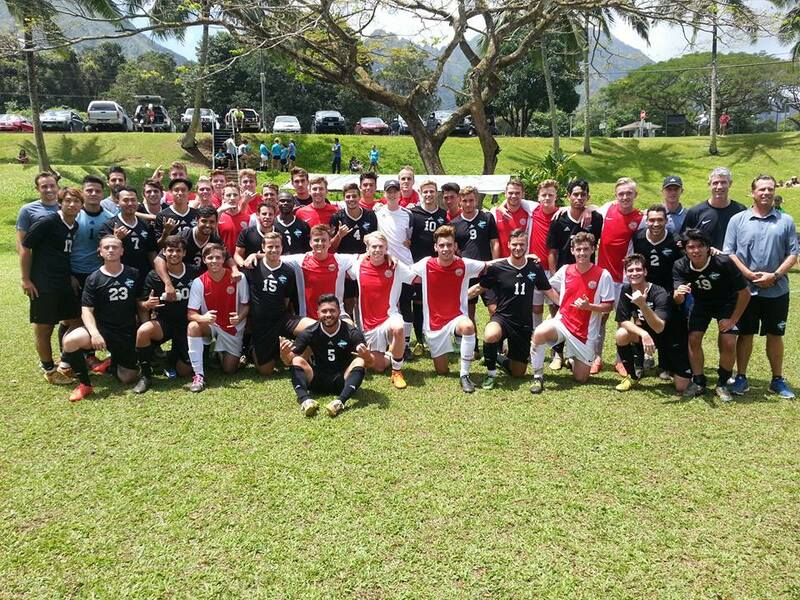 This game was against a Div 1 side Canacius University and again we went down to an early goal. However, this was the performance of the tour with our boys dominating the 2nd half despite battling the fatigue and playing against older and more experienced opposition. Jordyn McKay cam within a finger nail of getting a late equaliser, with an outstanding save from their keeper. 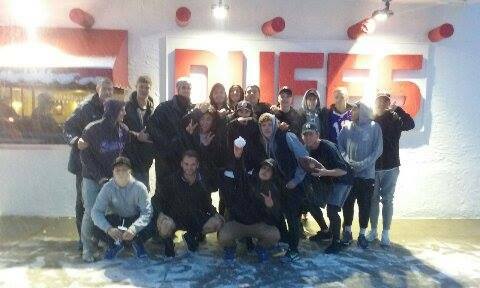 First and only sole rest day, this day was free for the lads, a bit of shopping, R n R, recovery and a visit to Buffalo wouldn’t be complete without a visit to the world famous Duffs, home of the original Buffalo wings! Dinner, complete with a dusting of Snow to send us off on our adventure.